Last week, GRCVB marketing, sports marketing and public relations staff attended the statewide travel and tourism industry conference, Visit North Carolina 365. 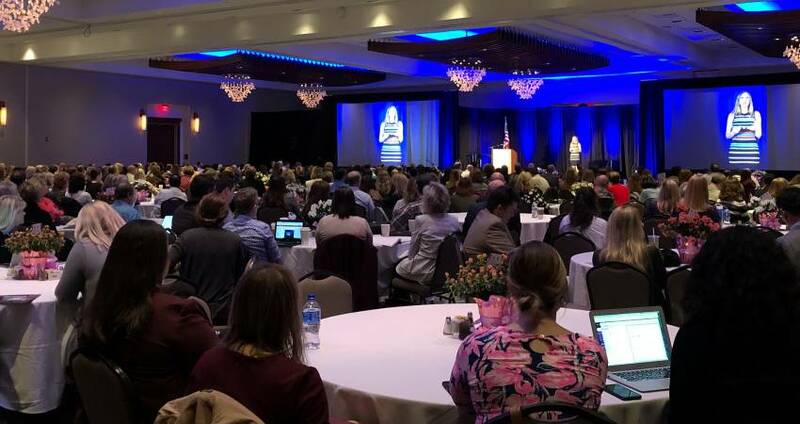 Destination marketing organizations and others from across the state gather each year to network and hear the latest on Visit North Carolina&apos;s (Visit N.C.&apos;s) marketing initiatives and research findings. We also learn about new trends and practices in content marketing, pick up various tourism-related initiatives that apply to the state&apos;s overall effort and generally receive more professional development. 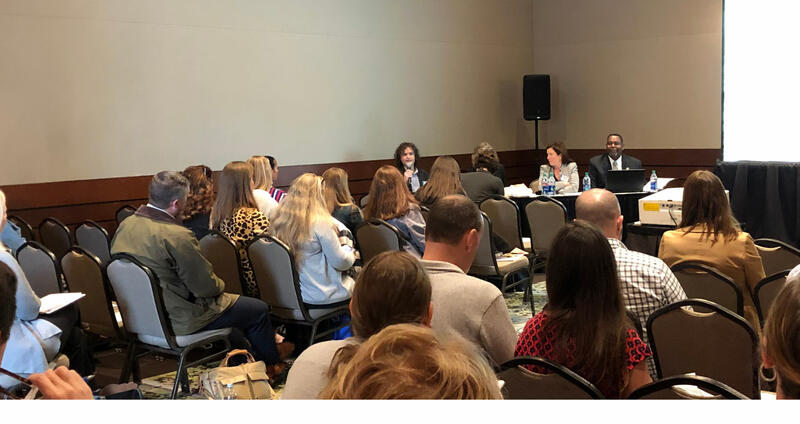 This breakout session covered the N.C. Arts Council&apos;s 2019 Come Hear N.C. campaign, highlighting the rich history and cultural diversity of music in the state, plus three different festivals celebrating N.C. music. Our very own passionate mind William Lewis, executive director of PineCone, was there to present on the International Bluegrass Music Association&apos;s annual World of Bluegrass week in Raleigh! 2019 was proclaimed "The Year of Music" in N.C. by Governor Roy Cooper. The campaign has seen a 500,000+ reach so far. Any hospitality partner across N.C. is invited to help share the message of Come Hear N.C., "The Roots of American Music Run Deep in North Carolina." A partner toolkit can be found here. GRCVB has met with the N.C. Arts Council and is supporting the campaign via content and content sharing. This breakout session was a dive into the data surrounding short-term rental growth in the U.S. and N.C. through Airbnb, HomeAway, and other third-party listing companies. Led by Visit N.C. research analyst Marlise Taylor with a panel of experts from STR, AirDNA and Key Data, the session showed our team the ever-growing impact that short-term rentals have on every destination. Short-term rental listings across the country have increased 140 percent, from just under four million properties to over nine million properties, since 2016. As the platform grows, professionalization in ownership and expansion to attract business travelers is becoming more of a focus. In N.C., short-term rental supply fluctuates between 30,000 and 40,000 properties throughout the year (winter and summer being the low and peak, respectively). N.C.&apos;s short-term rental revenue has grown exponentially from $93 million in 2016 to $650 million in 2017 and, most recently, to $1.3 billion in 2018. Short-term rentals are a growing component in every destination, and steady growth will continue despite supply-side pressure. Our marketing team was looking forward to this breakout session as it covered points on what makes the most harmonious messages for social media, digital outlets and traditional media. The session was led by Visit N.C. digital strategist Nick Parker and a panel of experts from Visit N.C.&apos;s creative agency Luquire George Andrews and public relations firm J Public Relations. While our current content marketing strategy is working wonderfully, we are always curious as to what our state tourism office is thinking philosophically about digital marketing—our strategies tend to reflect one another and align well, regarding overall practices, tactics and general digital strategy. Public relations and marketing departments should work on campaigns together and as early as possible to share a consistent and unified message. Facebook post captions should be as short as possible: 180 characters works well for Visit N.C. as it does for GRCVB. In a pay-to-play world now, you essentially have to be running paid Facebook ads to get decent engagement. Posting frequency on Facebook: Whatever works for your business is best. Some post 2-3 times a week, and some post 6-7 times a week; testing is key to finding your best balance. Visit N.C. research analyst Marlise Taylor hosted another breakout with presenter Whitney Knollenberg, Ph.D., assistant professor with North Carolina State University&apos;s Department of Parks, Recreation and Tourism Management, alongside several graduating seniors from the department. This session discussed how much impact events and other festivals contribute with tourism and how to best conduct an event impact survey as well as what those results mean for event promotion. While GRCVB is well-versed in the world of event impact studies, we do like sharing key points with partners that may be interested in this. "If you don&apos;t count, you don&apos;t count!" Events cannot make any future decisions, justify funding and grants or generally gauge their success without some kind of impact study. Determination of resident spending vs. visitor spending is key; resident spending is not new money and should not be counted. Incentivizing participation or finding captive audiences either during or shortly after the event will help find the correct sample; timing is key to gaining as much information as possible. Asking the correct questions of your survey participants will greatly improve the value of your study (spending, demographic and zip code-related questions). Be upfront about the survey purpose and avoid leading questions or double-barreled questions (touching on more than one issue at a time). One of our favorite parts of the Visit N.C. 365 conference is hearing all about the state&apos;s current and upcoming marketing and advertising plans, plus research findings from the past years. Here are some key points. N.C. has seen a 4.4-percent average annual increase in domestic visitor spending since 2014—outstanding growth (source: U.S. Travel Association). Travelers exposed to Visit N.C.&apos;s digital messaging visited the state at a 40-percent higher rate than those not exposed to our state ads (source: Arrivalist A3 reporting since April 2017). Visit N.C. has led the industry to new highs, with 26.9 million visitnc.com website sessions and 5.7 billion public relations impressions, plus seven national advertising awards. Seeing success with the "Firsts That Last" campaign that began last year, Visit N.C. plans to continue running the campaign through the year with more digital assets and supporting content. Destination awareness tactics lie heavily in TV and print,then also in digital. Conversion tactics (actual visits, website sessions, visitors guide orders etc. ): paid social is number one, with paid search following, then other targeted digital and native placements. As does GRCVB, Visit N.C. plans to work more on Google (Travel Guide) content to optimize better, leading to better representation of the state, tourism-wise. GRCVB and Visit N.C.&apos;s content strategies reflect one another greatly, focusing more and more on insider content and articles that search engines and travel information sources outside of the market simply cannot compete with. Andrew Baker is the assistant marketing manager at the Greater Raleigh CVB and has only been at the Bureau for a short while. Starting his career in local government, he has transitioned from the wild world of parks and recreation and now has his sights set on taking over the destination marketing world.